As the country continues to struggle with a foreign currency crisis, Egypt has also witnessed difficulties with imports, which have declined by 19 percent. Additionally the government has introduced a number of restrictions on imports, for instance in December 2015, the Ministry of Trade and Industry issued Decree No. 992/ 2015, which imposes a mandatory obligation on factories, looking to import their product into the Egyptian market, to be registered in a specified registry held with the General Organization for Export and Import Control (GOEIC). According to the ministerial decree, the Customs Authority will not release imported products from the custom’s zone unless the producers of such product are registered at the aforementioned registry. The application of this Ministerial decree has resulted in several issues; such as owners of trademarks who desire to import their products into the Egyptian market having to register their factories that deliver their products to Egypt separately with the GOEIC. In addition they must comply with a long list of ISO certificate requirements in order to complete the said registration as per international standards. However in order to expedite the process , the Egyptian government has amended the previous law by issuing the Ministerial Decree No. 43 for the year 2016. According to the said amendment, the owners of the trademarks or factories may now register all their trademarks or factories that delivers products to Egypt in one single process without the need to register every single trademark or factory independently. Also, the number of the required documents have been minimized reducing the type of product subjects categorized for registration. Regarding the registration process of the factory or the trademark, owners are required to complete the said process through an application to be submitted to the GOEIC supported by all the determined certificates and documents. According to the law this registration processes usually take approximately from 2 to 3 weeks. However, from our experience in dealing with such matters, the registration time can take as long as 5 to 6 weeks. The government’s aim in issuing such a decree is to encourage reliance on local products, bolster local manufacturing and the national economy, rather than depending on the import of foreign products. Moreover the decree helps to enhance the competitiveness of locally produced products against foreign products. This decree is set to allow a fairer playing field for local companies to compete with individual importers who smuggle or evade customs by providing fraudulent bills. The companies, which are commonly harmed by this, are the Egyptian textiles factories who have to compete with cheaper Chinese imports that have been smuggled into the country. Therefore, if local textile companies are better positioned; they would be able to possibly compete with the Chinese textile imports, and even possibly begin to have a competitive edge in smaller foreign market. However, there is no guarantee whether the result of the issued decree will positively affect the direction of the country’s economy or if it will make it more difficult for business, especially the small and medium businesses owners, to import critical raw material tools. It may also make it harder for the Egyptian companies to import from the European market. Bearing in mind a similar attempt was made previously in the 1950’s when the governments wanted to promote the first ever Egyptian-made car, and in order to do so they raised duties on imported passenger cars and the result ended up rather hurting than helping the local economy. Since then the tax on foreign cars has only increased, creating a discrepancy of fuel efficient new vehicles coming into the country and allowing for older, recycled cars which are not environmentally friendly to become the dominate source of transport in the country. Additionally by making it more difficult to import, the government in turn is sending mix signals to all the foreign investors who are being invited to initiate business in Egypt . For example the so-called luxury companies in Egypt like the British chocolate maker Cadbury, French cosmetics producer L’Oreal, the Dutch firm Frico Cheese and Korean electronics giant Samsung that started out as exporters to the country. When they saw that there was sufficient demand in the local market, they decided to build a factory, noting that these multinationals have also brought with them new technology and industry expertise with them. With less competition from abroad the local market will not be exposed to the know-how of various industries which are transferred to local companies and will not be able to compete in an aggressive and highly competitive marketplace. 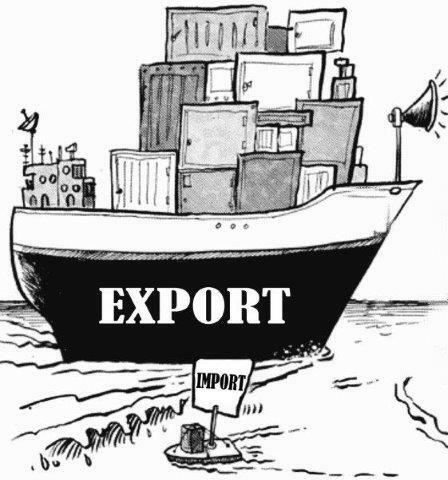 Beside all the advantages and disadvantages gathered , global trade and investment are an essential part of any developing economy and people need to support their local industry as much as they accommodate foreign industries .The government must put an adequate system in place to ensure the quality of locally made products are up to par with the international standards to avoid shortages that might be faced if the local products cannot be replaced with the imported one. Value Added Tax, a barbed matter that has always been surrounded by fear of the poor and anger of the wealthy. A double-edged weapon that has proven to be an efficient way in increasing the government’s income, yet, always thought to be an extra burden on the Middle and Lower income tax payers. But what is Value Added Tax. V.A.T. is a consumption tax based on any value added to a product. For example, in the case of furniture production, V.A.T. is applied on the raw material such as wooden boards. This V.A.T. value is added to the total value when a manufacturer purchases the wooden boards. The manufacturer changes the wooden boards to a closet adding value to it, V.A.T. will be applied on this extra value added to the product and so on till the end user. Despite the fact that V.A.T.’s origin is not clearly known, yet it is agreed between all scholars that its concept has been introduced ages ago. While some said that V.A.T. came into force in 1973, introduced by Lord Barber, the chancellor under Sir Edward Heath of the UK, and started off as a simple 10 per cent tax on nearly all goods bought from a business. Others stated that V.A.T. was originally a French idea, started in the 1950s. The key factor of V.A.T.’s rise is several EEC’s directives requiring potential member states to apply a harmonized V.A.T. system to become a member in the EU. Furthermore, the adoption of the V.A.T. in developing countries was emphasized by both the IMF and World Bank, who played key influences over countries to adopt V.A.T. Differences between V.A.T. and General Sales Tax (G.S.T.) can be barely noticed except for one thing. G.S.T. is only applied at the final stage of the product and consequently only burdened by the end user. While V.A.T. is applied at every stage of the product, consequently the tax amount, although increased, yet paid by every stage and split between several individuals and finally achieving social justice. Before the adoption of the V.A.T., two scenarios were proposed; first, adopt V.A.T. and extend tax base to what is more than EGP 30 billion increasing the state revenue by almost 14%–and inflation is calculates/expected at rate of 2.6%. Or, keep on the G.S.T. system while adopting firmer sanctions on tax evaders and no inflation is expected. While the results of the first scenario seemed very tempting, Egypt decided to adopt V.A.T. system and puts the G.S.T. system into a deep sleep. First category will be through imposing 13% on goods, anything that has physical existence, and services, anything that is not goods, during the 2016/2017 fiscal year and increase automatically to 14% by the beginning of 2017/2018. This 1% will be dedicated for the expenditure on the social justice programs, with no need for any further legislation. Yet, it is essential to state that the V.A.T. law set an exception on the percentages above as the law implied that the percentage imposed on equipment and tools that are imported to be used in producing a product or performing services inside the Country is 5% (with the exception of buses and passenger cars which shall be subjected to the regular rate). The second category will be through imposing 0% on any exported products and services produced or rendered by free zones according to the conditions and situations determined later by the executive regulations (article 3). The 0% will be imposed on the free zones projects that produce products or render services in order to be exported, also any imported raw products or services that are used in production process for exportation. The first table stated a group of products like raw tobacco and gas. The second table determined another group of services for example telecommunications services. Telecommunication services shall be subjected to an extra tax of 8%, the percentage may vary from one service to another, besides that of the V.A.T. 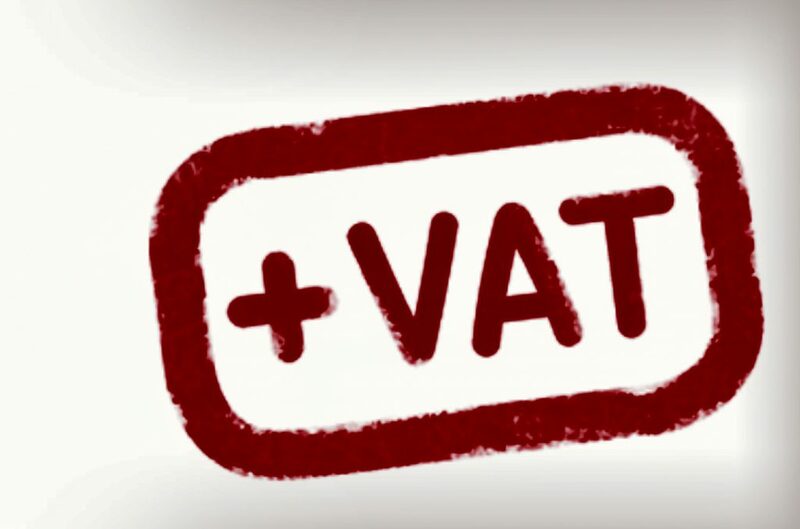 For example, if a service costs EGP 100 then the applicable tax will be the extra 8% in addition to the regular 13% of the V.A.T. Simplify the legislation and facilitate the application of the law. Achieve tax justice without creating any implications on the basic needs. Consumers will pay more in return for luxury products and will pay less for essential goods and services or even no taxes in case of an exemption. As for the dispute resolution methodology adopted by the V.A.T. Law, a dispute resolution committee shall be prepared and trained for resolving such disputes. If this committee failed to reach an amicable settlement with the taxpayer, the latter enjoys the right to submit his claim before the State’s Council. Finally, and to wrap things up, it is still unclear, even for Egyptian officials, how is V.A.T. will be implemented in Egypt and how is it going to be calculated. These questions can only be answered when the executive regulations are issued. We aim on keeping a close eye to any further developments with the implementation of these new regulations and will make sure to update our readers promptly once more information is made available.